In most dictionaries, Competency is considered a synonym of Competence. In every job, some people perform more effectively than others. Superior performers do their jobs differently and possess different characteristics, or “competencies”, than average performers do. These differences are valuable: on average, 40% of salary. The best way to identify the characteristics that predict superior performance is to study your top performers. Motive, trait, and self-concept competencies predict skill behavior actions, which in turn predict job performance outcomes. Definition: Identifying the information needed to clarify a situation, seeking that information from appropriate sources, and using skillful questioning to draw out the information, when others are reluctant to disclose it. 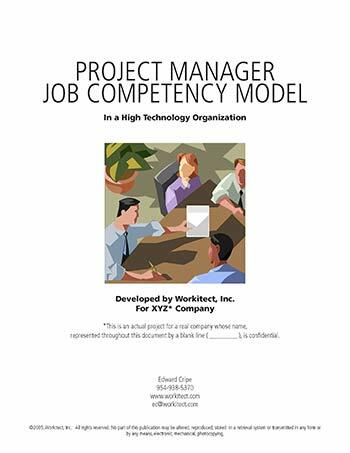 What are Job Competency Models? A model is a group of related competencies that together describe superior or effective performance for a particular job or role, in a particular organization. Workitect’s modeling process starts with superior performers being identified, and then studied, to determine the skills, knowledge and personal characteristics that they possess that enables them to be superior performers. The methods used to collect data for the study, such as behavioral event interviews and expert panels, are designed to get beneath mere opinions about superior performance and superior performers. Overview of the competencies (typically 8-12) that may include competencies required to support the company’s mission, values, and strategy. 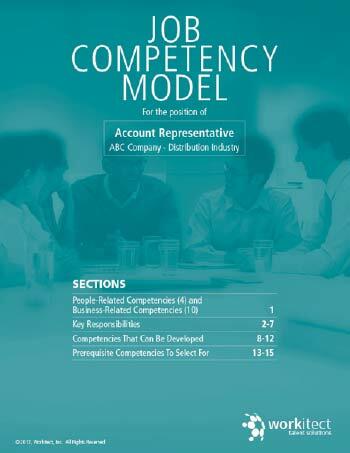 Are Competency Models Too Complex? …and have a good statistical chance of significantly improving bottom line performance. Describes competencies, how to develop competency models and how to create an integrated human resource system with applications for selection, succession planning, career pathing, performance management, and training. 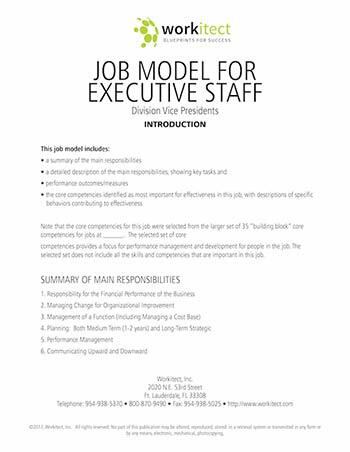 Also describes how competency modeling can be used as a tool to drive organizational change by determining the competencies that will be required by the organization to reach its strategic plan. 10 page guide. Five Types Of Competency Characteristics To Predict Future Success. The Business Case For Competencies. The Business Case For Competencies – Part Two. Using Competencies To Enhance Employee Performance. Managing Role Specific Technical Competencies. Our approach is based on the original job competence assessment (JCA) methodology* developed in the 1970’s by Dr. David McClelland, a pioneer in competency research and testing, and consultants at Hay/McBer and Company. *Reference: Competence At Work by Lyle and Signe Spencer (1993 – John Wiley & Sons), a comprehensive guide and reference book, with examples and illustrations backed by rigorous research.